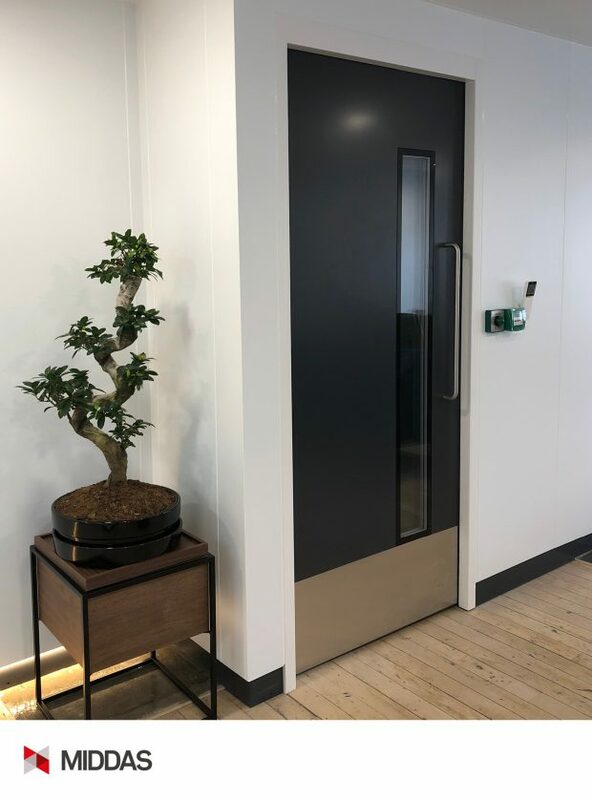 We’re really pleased to see MIDDAS steel partitions and door sets in a commercial interior. 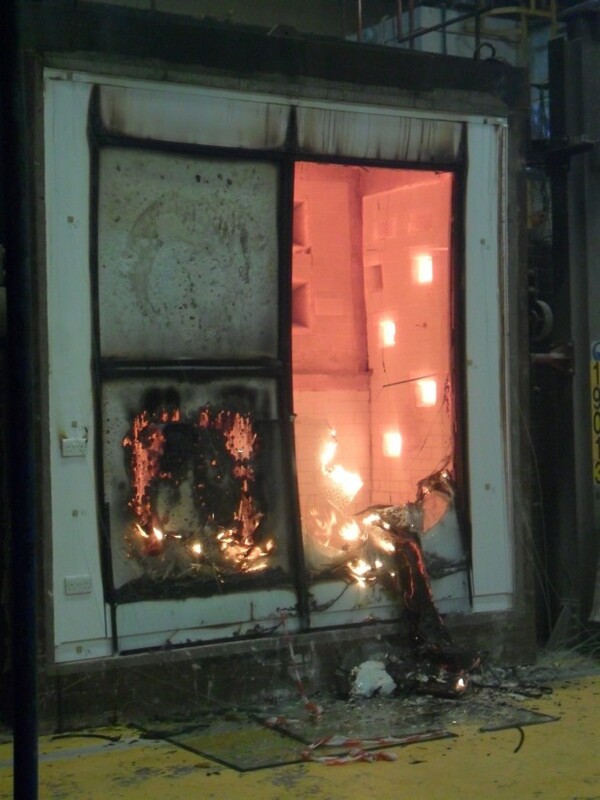 More and more of our systems are being installed in non-cleanroom environments, including offices, factories, data centres, universities and hospitals. 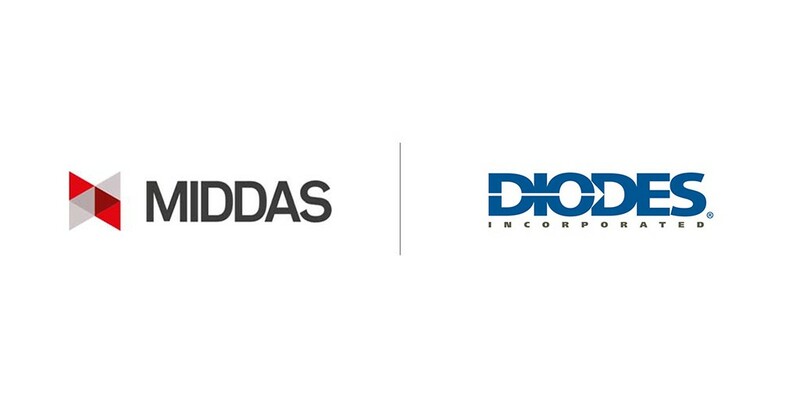 Independent testing has always been at the forefront of MIDDAS designs and our product offering. 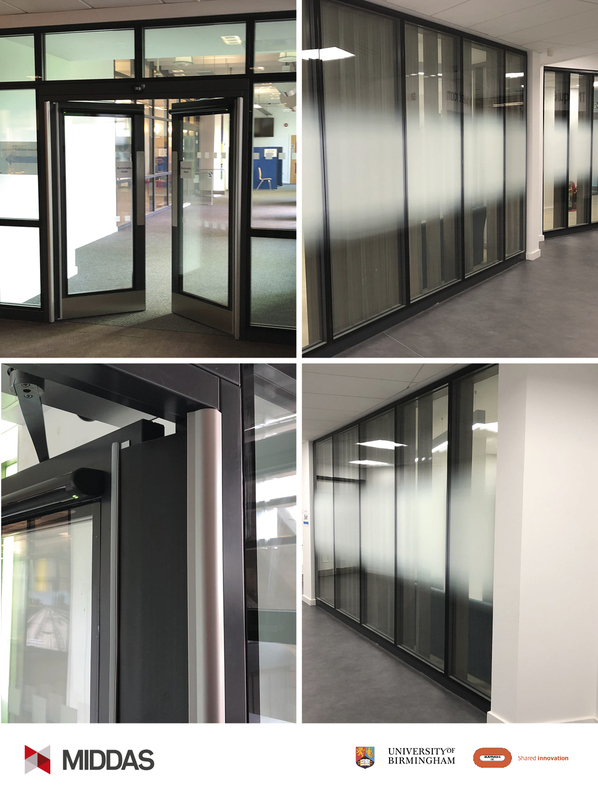 MIDDAS have recently completed the installation of fire rated flush glazed walls and fire rated automated door sets, within a flag ship building at the University of Birmingham. The MIDDAS triple glazed M100 system offers 30 minute fire rating and excellent acoustic performance. 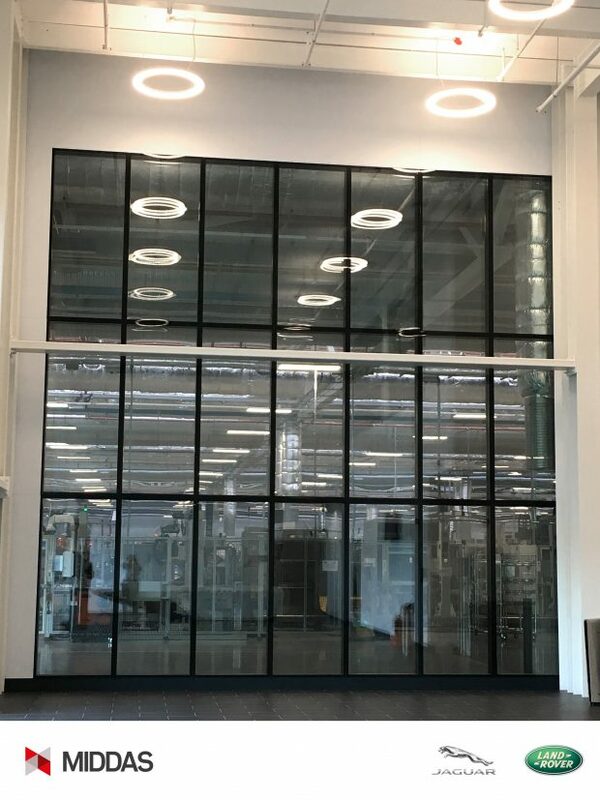 It’s amazing what you can see when you look through the MIDDAS fire rated modular glazed screens in the Module 4 reception at JLR’s world class engine manufacturing facility i54. 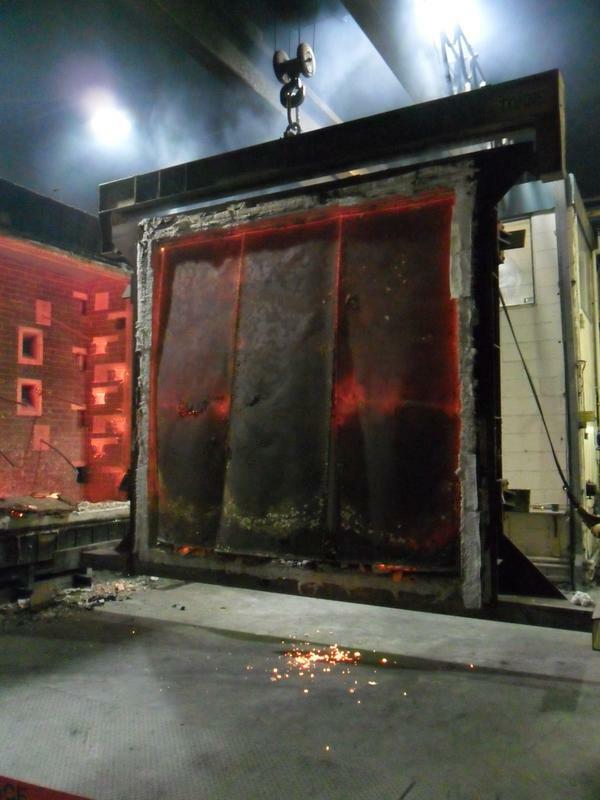 With 60 minute Fire Rating and installed to a height of 7.6 meters our M100 glazed wall provides a great window to the advanced manufacturing within. 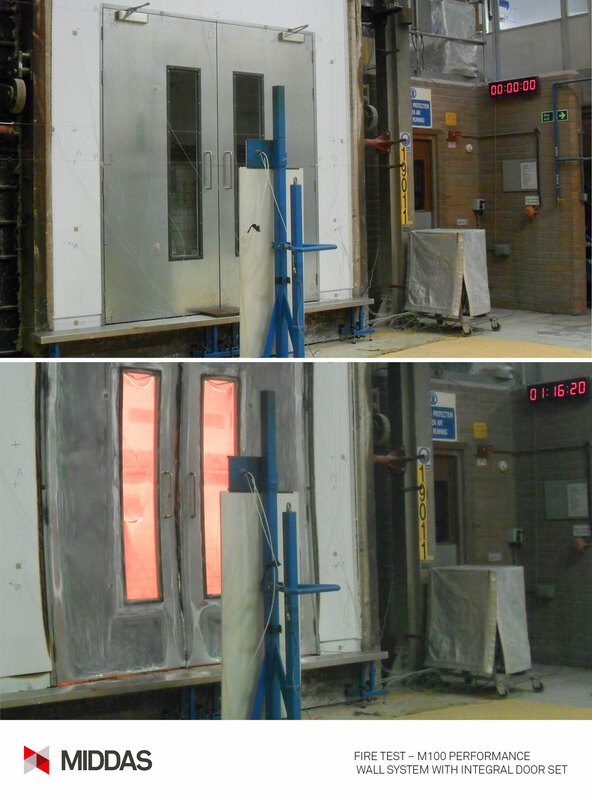 The final fire test of 2015 saw MIDDAS put our M100 cleanroom partition system with flush glazing through its paces. 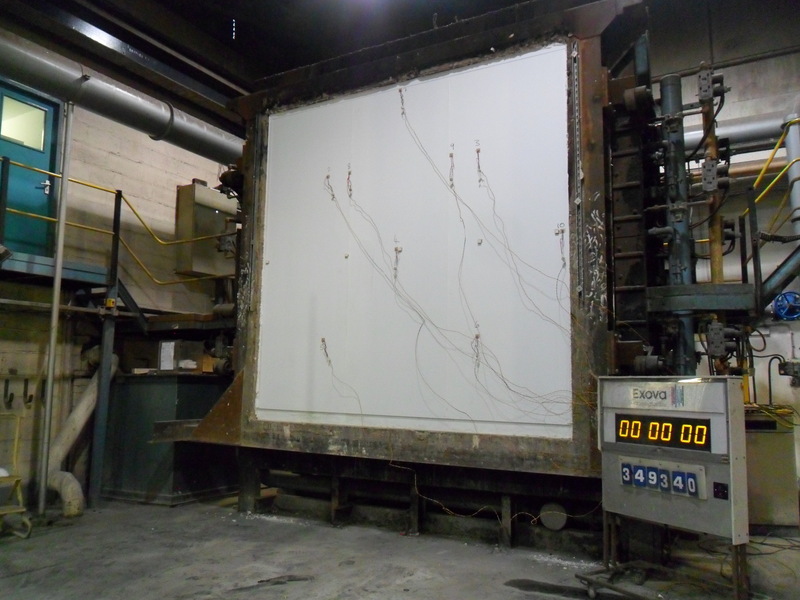 This test also incorporated integrated electrical sockets positioned on either side of the test specimen, an industry first. 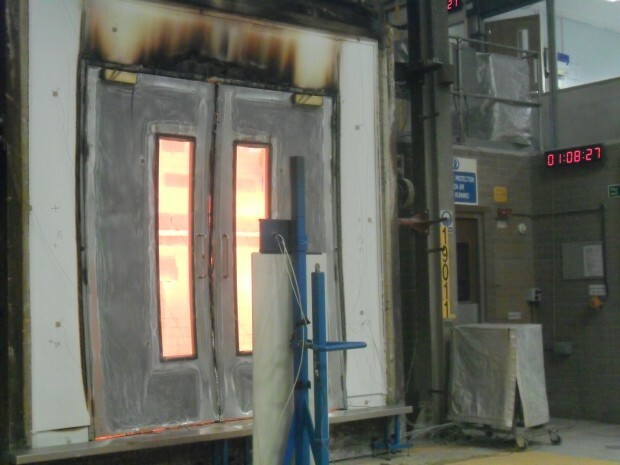 Continuing with our extensive R&D programme, we have now successfully fire tested our M100 performance wall system with an integral door set. 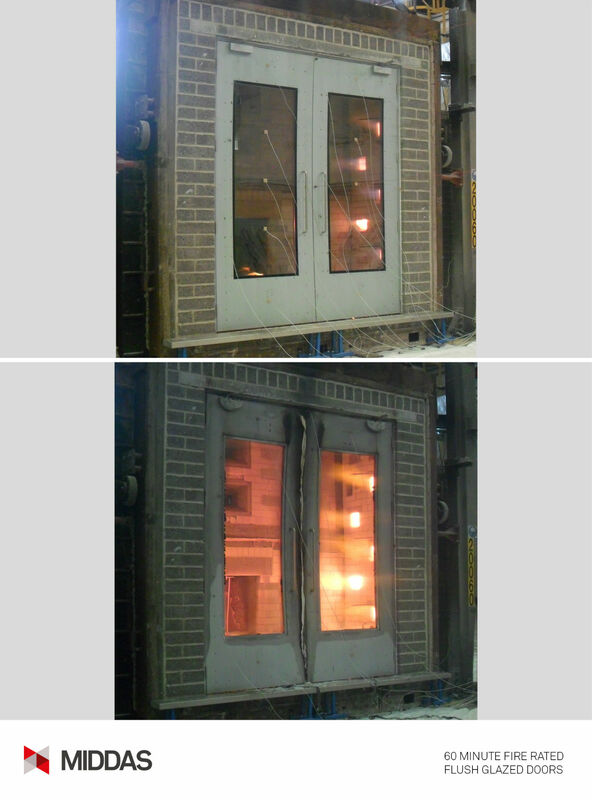 Never wanting to take the easy route, we tested a 2.5m high, 2.2m wide, glazed, double door but the trick element was that it was unlatched and with a rebate-less meeting stile.